Prostate Gland pill is highly effective in cases of chronic prostate gland swelling, infection, with symptoms of burning urination, difficulty in urination, dribbling or painful urination, painful testes. Also suitable for urinary tract infections with accompanying lower back or abdominal pain. 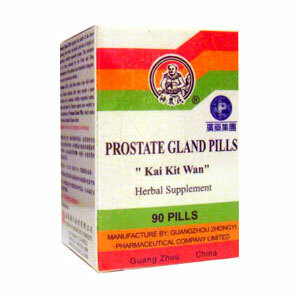 Conditioning prostate gland functions, promote gland activities, promote blood circulation, stop pain and inflammation. Chronic prostatitis, urethritis, haematuria, painful urethra, dysuria, lower back pain, lower abdominal pain, testes pain. Take 6 pills, 3 times a day with warm water.